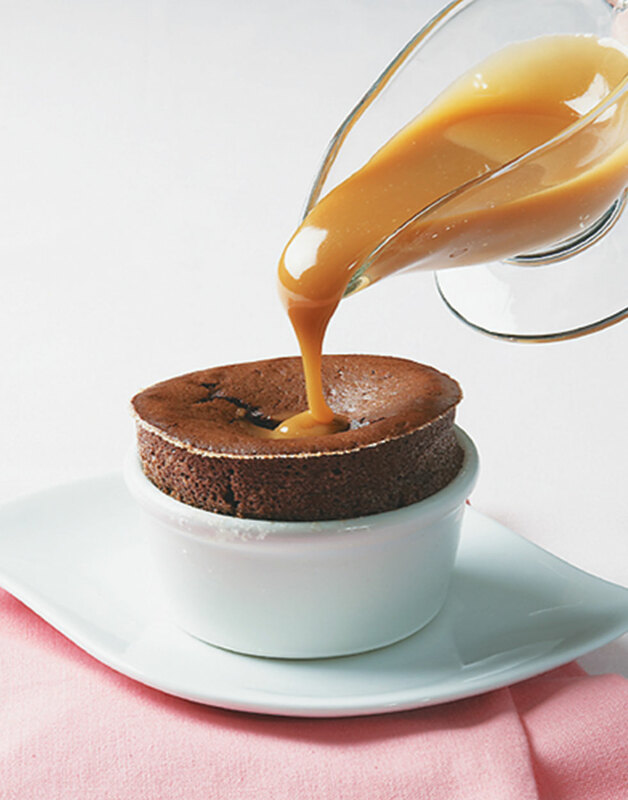 This Mexican-style caramel sauce is perfect with the Chocolate Soufflés, ice cream, brownies, and more. This simple recipe, requiring just 4 ingredients, means you can whip it up anytime. This caramel sauce can be made ahead and reheated before serving. Boil cream, brown sugar, salt, and cinnamon in a saucepan, whisking constantly, until liquid is reduced to ¼ cup, about 3 minutes. Off heat, whisk in vanilla. Serve sauce hot.